"Transcendence and the Problem of Otherworldly Nihilism: Taylor, Heidegger, Nietzsche". Inquiry 54:2 (2011), pp. 140-59. "Rethinking Levinas on Heidegger on Death," The Harvard Review of Philosophy, Vol. XVI (Fall 2009), pp. 23-43. "Phenomenology and Technology," in Stig Andur Pedersen, Jan-Kyrre Berg Olsen, and Vincent F. Hendricks, eds., A Companion to Philosophy of Technology (Oxford: Blackwell, 2009), pp. 195-201. "‘Even Better than the Real Thing’? Postmodernity, the Triumph of the Simulacra, and U2," in Mark A. Wrathall, ed., U2 and Philosophy: How to Decipher an Atomic Band (Chicago and La Salle: Open Court, 2006), pp. 73-95. 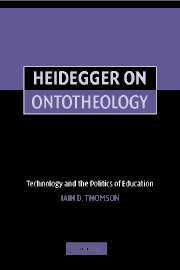 "Understanding Technology Ontotheologically, or: The Danger and the Promise of Heidegger, an American Perspective," in Jan-Kyrre Berg Olsen, Evan Selinger, and Søren Riis, eds., New Waves in the Philosophy of Technology (New York: Palgrave Macmillan, 2009), pp. 146-66. "On the Advantages and Disadvantages of Reading Heidegger Backward: White's Time and Death," Inquiry 50:1 (2007), pp. 103-120. 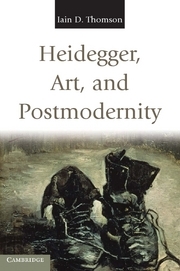 My review of Miguel de Beistegui's The New Heidegger in Notre Dame Philosophical Reviews, September 9, 2006. "Deconstructing the Hero," in Jeff McLaughlin, ed., Comics as Philosophy (Jackson: University Press of Mississippi, 2005), pp. 100-129. "Heidegger's Perfectionist Philosophy of Education in Being and Time," Continental Philosophy Review 37:4 (2004 [August 2005]), pp. 439-467. "Ontology and Ethics at the Intersection of Phenomenology and Environmental Philosophy," Inquiry 47:4 (2004), 380-412. "Interpretation as Self-Creation: Nietzsche on the Pre-Platonics," Ancient Philosophy 23:1 (2003), pp. 195-213. "The Philosophical Fugue: Understanding the Structure and Goal of Heidegger's Beiträge," Journal of the British Society for Phenomenology 34:1 (2003), pp. 57-73. "From the Question Concerning Technology to the Quest for a Democratic Technology: Heidegger, Marcuse, Feenberg," Inquiry 43:2 (2000), 203-16. "Can I Die? Derrida on Heidegger on Death," Philosophy Today 43:1 (1999), 29-42. "The Silence of the Limbs: Critiquing Culture from a Heideggerian Understanding of the Work of Art," Enculturation 2:1 (1998).